Windows Live SkyDrive is an online file store available free to all users with a Windows Live ID. The service provides currently (Oct 2010) 25 gigabytes of free storage for documents and photos. If you have a Windows Live ID you already have access to this store, just log in to live.com. I you do not have a Windows Live ID, you can get on at that same site (click Sign up). 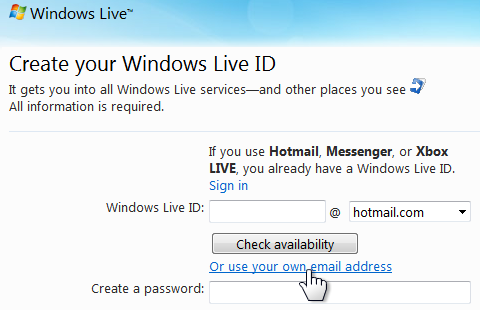 You can sign up to get a Hotmail email account or you can get a Windows Live ID without the Hotmail account and using another email address (see link at pointer in illustration below). For additional information see: Windows Live SkyDrive.